I’m loving the Brooklyn art scene! 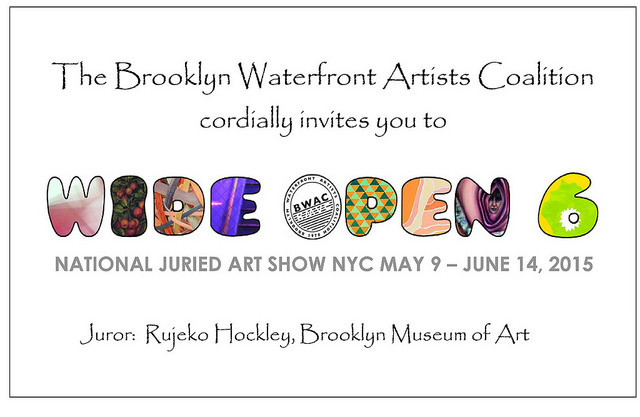 Last year, I was juried into a terrific figurative sculpture exhibition at the Brooklyn Waterfront Artists Coalition (BWAC). Now I am heading back. One of my figures was accepted into BWAC’s Wide Open 6, which will open on May 9th. This show is indeed wide open — all media on any subject, 2-D and 3-D. BWAC received nearly 1350 submissions, and my sculpture “Listen” was one of 100 artworks selected. The juror is Rujeko Hockley, Assistant Curator of Contemporary Art at the Brooklyn Museum of Art, who had the challenge of putting together a coherent exhibition from such diverse sources — quite a curatorial feat. I am very much looking forward to seeing what she assembled. I also expect that most of the show will be on the walls (2-D paintings, drawings, prints, photos, etc. ), so I hope the sculptural pieces will stand out in the gallery space. My piece “Listen” is very close to my heart. 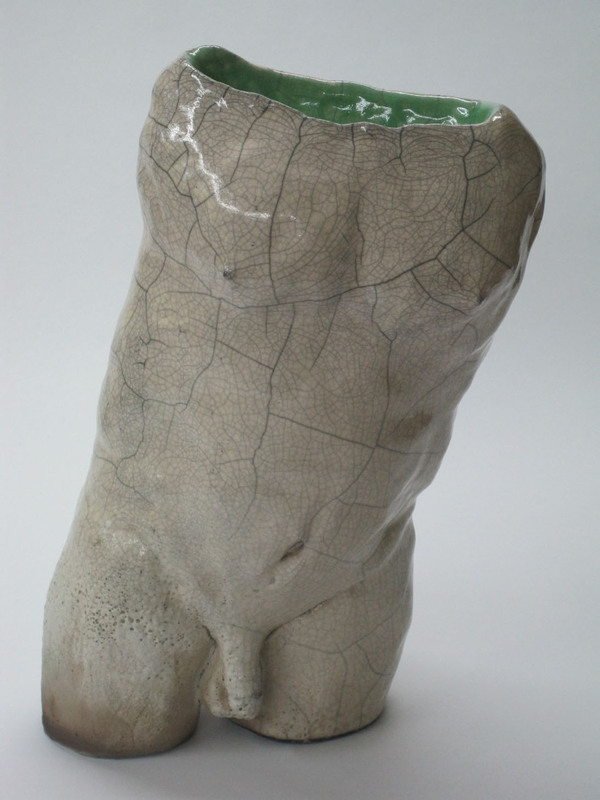 When I first started Raku firing (scroll down to my “First Raku” post on 5/16/14), this piece and his brother “Brave New World” (which I showed at BWAC last year) brought new visual attraction and depth to my prior concentration on shape and form. These pieces loosened and deepened my work at the same time, and I am still exploring the directions they opened for me. Let me also put in a good word for BWAC. If you ever get to the Red Hook section of Brooklyn, their gallery is 8000 square feet in a Civil War era warehouse on the waterfront. Their juried shows are in the central hall, wrapped around by exhibition space for BWAC members. The people there are great. Their mission is to support living artists (remember that Vermeer died poor). And there is always a lot of great work to see.